Samsung's One UI Android skin is a vast improvement over the Samsung Experience. It's a complete redesign with features that enhance usability and productivity and reduce repetitive stress. Smartphones keep getting bigger, so Samsung's goal is to make one-handed use significantly easier. They achieve this with three features: viewing areas, interaction areas, and Focus Blocks. One UI is available on the Galaxy S8/S8+ and later as well as the Note 9. Here's what One UI looks like on a Samsung Galaxy smartphone. One feature introduced in One UI is a dark mode, or night mode, for more comfortable reading. 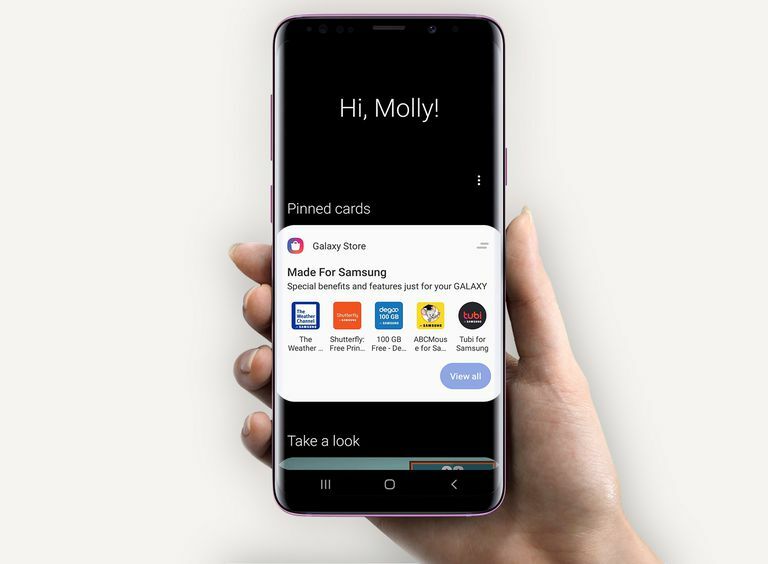 Bixby, Samsung's virtual assistant, gets a redesign in One UI too, with a feature called Focus Blocks. Rather than a cluttered screen full of notifications and other information, Bixby presents a series of Focus Blocks with reminders, weather alerts, and more. Fun fact: the Bixby feed looks the same whether the phone is in night mode or not. Apps optimized for One UI have a Viewing Area and an Interaction Area. In Messages, for example, you can see how many unread messages you have in the Viewing Area, and read and respond in the Interaction Area. In the Clock app, you can see your local time in a nice large font at the top, and the time in other cities below. On the Alarm tab of the Clock app you can see when how much time until your alarm goes off at the top, and enable or disable your alarms below or adjust the time and day. Samsung even optimized the Settings app for One UI. If you need to adjust something on the fly, you should be able to do it with one hand. Samsung says it will update One UI periodically, so expect to see regular enhancements.